See below for submissions related to tourism. 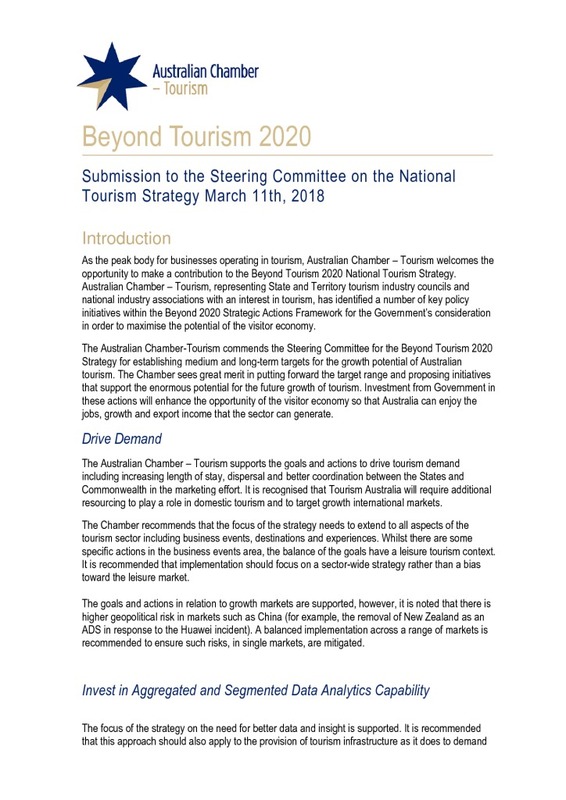 The Australian Chamber-Tourism commends the Steering Committee for the Beyond Tourism 2020 Strategy for establishing medium and long-term targets for the growth potential of Australian tourism. 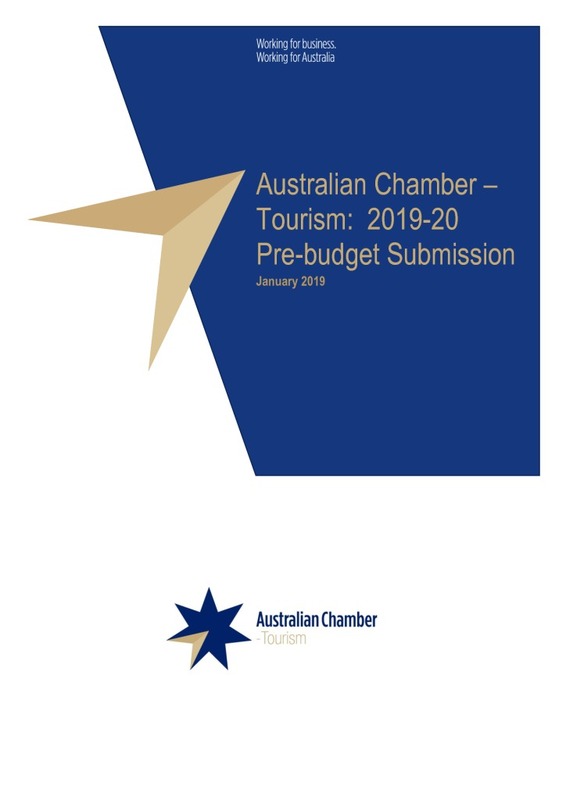 The Chamber sees great merit in putting forward the target range and proposing initiatives that support the enormous potential for the future growth of tourism. 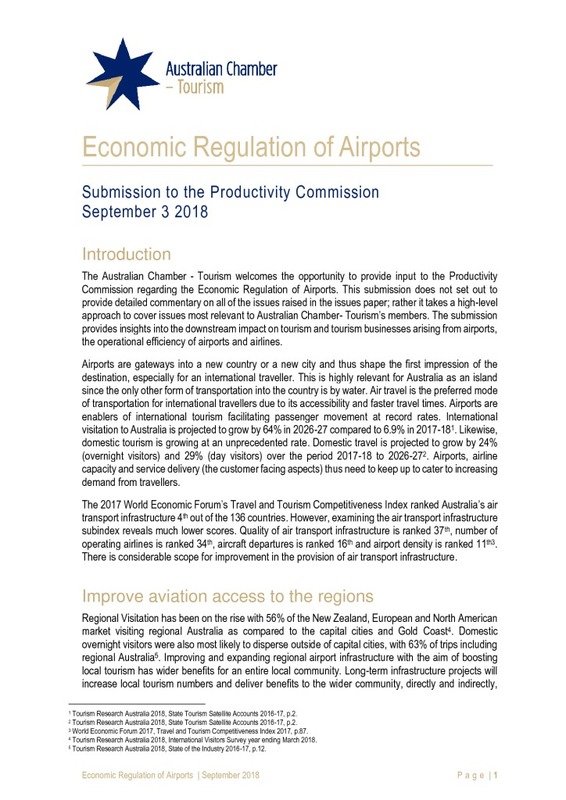 Investment from Government in these actions will enhance the opportunity of the visitor economy so that Australia can enjoy the jobs, growth and export income that the sector can generate.